The ATLANTYK company was founded in 2010. We employ staff, who have years of experience in upholstery craft. In production process we use raw materials of the highest quality. We cooperate with many manufacturers of yachts and motor boats as well as with individual customers. 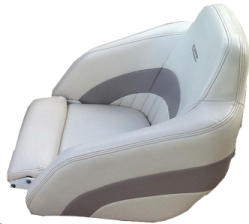 The use of modern technology and flexibility resulting in meeting the expectation of every customer make us the preferable supplier of upholstery products for many customers in Poland and other European countries.